Here are some of the numbers that helped define the Packers 35-14 win over the Chicago Bears on September 28. The Packers have now won three of their last four Thursday night games versus the Bears. Davante Adams had a TD reception in the contest. Green Bay is 13-2 in games when Adams scores a TD. The Pack scored 14 points in the first quarter. Since 2000, they are 34-4 (.895) in games when they score 14 or more points in the first quarter. They have won 22 straight when they tally 14 or more in the first quarter. Green Bay has now won 17 of their last 19 when they get four or more takeaways in a game. They had four against the Bears. The Packers held a 14-0 lead after the first quarter. They have now won seven straight when they hold the opposition scoreless in the first quarter. They are 63-8 (.887) when they hold their opponents scoreless at home since 2000. Green Bay has won 33 of their last 35 games when they scored 20 or more points before halftime. They held a 21-7 lead at half. The Bears missed a field goal attempt in the contest. Green Bay is 12-7 since 2012 in games when the opponents miss at least one field goal attempt. Aaron Rodgers had four TD passes in the game, giving him 21 regular season games where he had four or more TD passes. The Pack is 18-3 in those games. The 21 games are tied with Dan Marino for fifth on the all-time list (Peyton Manning tops the list with 35 games with 4+ TD passes in a game). Rodgers also has two playoff games with four or more TD passes; the Packers were 1-1 in those two contests. Green Bay had a 28-7 lead going into the fourth quarter. They are now 114-1 in games where they hold a 20-point or larger lead going into the final quarter. The only loss was in 1952. Jordy Nelson was on the receiving end of two Rodgers TD passes in the game. Green Bay is now 15-0 in games when Nelson scores two or more TDs in a contest. Green Bay scored in each quarter in the game. Since 2000, the Pack is 66-12 (.846) in games when they score in each of the four quarters. They have now won 18 straight when they score in each quarter of a game. Their last loss at home when they scored in each quarter was in 2008 to Dallas. Mason Crosby had a relatively quiet evening other than kicking five extra points; he did not attempt a field goal. It was only the 22nd game in his career that he did not attempt a field goal. He has attempted a field goal in 142 of 164 regular season games for the Packers. Martellus Bennett had six receptions in the contest. Bennett’s teams are 9-10 when he catches six or more passes in a game. Green Bay was held to less than 200 passing yards (169 to be exact). In games since 2000 when the Pack has less than 200 yards passing, they are 44-27 (.619). The Pack has now won 19 of their last 20 games when they score 30 or more points. Since 2000, the Packers are second in the league with 102 games with 30 or more points (the Patriots top the list with 117 games). 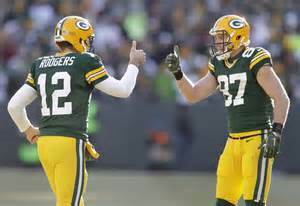 Green Bay is 94-8 (.992) since 2000 when they tally 30 or more points in a game. Here are some of the numbers that helped define the Packers 27-24 overtime win over the Cincinnati Bengals on September 24. It was Aaron Rodgers first win against the Cincinnati Bengals. He has now beaten each of the other 31 teams in the league. He has not, however, defeated the Pittsburgh Steelers in the regular season. His only win over Pittsburgh was in the Super Bowl. The Pack will face the Steelers this season on November 26 in Pittsburgh. The game was the third home game for the Packers where the temperature was 80 degrees or higher. Green Bay is now 3-0 in games 80 degrees or hotter at home. Interesting enough, each of those three wins was by exactly three points. The other games were 2002 against Atlanta and 1999 versus the Vikings. For the second time this season, the Packers hosted a game where their opponents scored first in the contest. Since 2000, Green Bay is 10-10 in home games where the opposition scores first. The game was tied 7-7 after the first quarter. The Pack is now 45-28 (.616) in games that are tied after one quarter since 2000. They are 22-8 (.733) in games at Lambeau Field that were tied after the first quarter since 2000. The Bengals tallied 21 points in the first half of the game. When opponents scored 20 or more points in the first half since 2000, the Packers are 6-24 (.200). Aaron Rodgers threw an interception for the third straight game. The last time he did that was the last three games of 2015. He has never started a season with an interception in three straight games. The longest streak of interceptions for Rodgers in his career was six consecutive games in 2008. The win over Cincinnati was the seventh in Rodgers’ career where he was sacked six or more times. It was, however, the first time the Packers won when Rodgers was sacked six or more times. The Packers had to overcome a 14-point deficit in the game (they were down 21-7 at halftime). With their win in the game, they are now 6-66 since 1970 in games where they are behind by 14 points or more at halftime. Green Bay scored only seven points in the first half. They have won their last four games at home when they scored seven or fewer points in the first half. Yesterday was only the second time since 2000 that Green Bay won a game at home where they were behind by seven points or more entering the fourth quarter. The other time was in 2002 when they trailed the Minnesota Vikings by nine points at Lambeau Field and won the game 26-23. The Packers have now played in 32 regular season overtime games since 1970. That ranks 25th of the 32 NFL teams. Their record is 12-15-5 (.453) in those games. The Pack has played in the most playoff overtime games since 1970 with six. They are 1-5 in those games. The five losses are the most overtime playoff losses in the NFL since 1970. Jordy Nelson had a pair of TDs. The Packers are 14-0 in games when Nelson has two or more TDs. Receiver Geronimo Allison set career highs with six receptions for 122 yards. His previous high was four catches for 91 yards in the last game of the 2016 season versus the Lions. Rodgers had three TD passes for the 55th time (regular season) in his career. That ranks sixth on the all-time list. 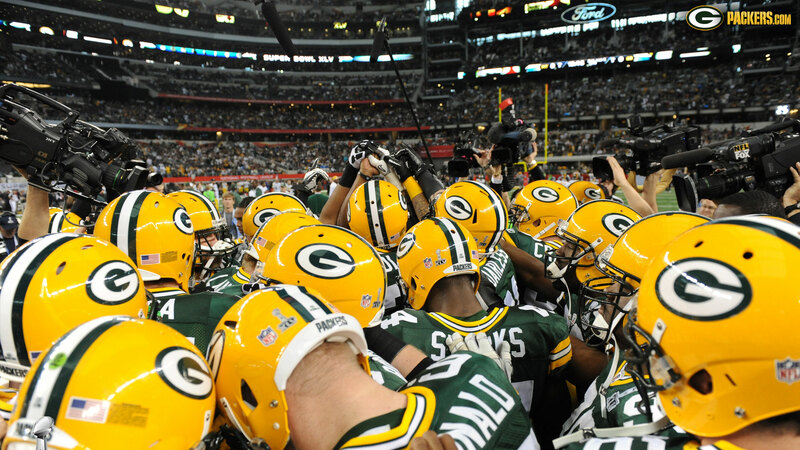 Green Bay is 44-11 in those games (.800). Rookie Josh Jones had two sacks and 11 tackles in the game. He became the first Packers player since Erik Walden in 2011 to have 10 or more tackles and two sacks in a contest. He is also the first Green Bay rookie to have two sacks in a game since Datone Jones in 2013. The running game was fairly non-existent; the Packers had 64 yards on 17 carries. Green Bay is 18-27 (.400) in games since 2000 when they have less than 65 yards rushing in a game. They are 8-42 (.160) in games with less than 20 rushing attempts since 2000. Jordy Nelson has the most touchdowns for the Packers so far this decade (2010-16) with 59. The story of Jordy Nelson’s last two NFL seasons has been well-documented: He was injured in the pre-season in 2015 and eventually missed the entire regular season. Healthy last year, Nelson went on to have a great season. He had 97 receptions for 1,257 yards and led the league with 14 TD receptions. His 2016 campaign ended with him being honored with the league’s Comeback Player of the Year Award. In his ninth NFL season, the 32-year-old Nelson has been steadily climbing the Packers record book for receivers. A healthy Nelson could continue to play for a few more years and with a little success, could challenge for several receiving records with the team. Jordy has three 10-TD seasons. Sterling Sharpe leads the team with four while Nelson is tied with Don Hutson for second place in this category. Randy Moss and Jerry Rice lead the NFL; each had nine 10-TD seasons. Nelson now has four 1,000 yards receiving seasons. Donald Driver leads the team with seven 1,000 yards receiving seasons. He is followed on the list by James Lofton and Sharpe, each with five such seasons. Jordy has three seasons with both 10 TDs and 1,000 yards receiving in the same year. Only Sharpe has more with four 10-1,000 campaigns. Jordy’s three 10 TD-1,000 yards receiving seasons were 2011, 2014 and 2016. Nelson ranks third on the franchise record book with 25 games with 100 or more yards receiving in a game. Lofton tops the list with 32, while Sharpe is second with 29. The Packers are 22-3 (.880 winning percentage) when Jordy gains 100 yards receiving in a contest. Only one Packers receiver has a better record when he gains 100 yards receiving… the Pack was 18-2 (.900 winning percentage) when Antonio Freeman gained 100 yards receiving in a game for the team. Jordy has 18 games with the Packers where he had eight or more receptions. The team is 14-4 (.778) when he has eight or more catches in a game. Sharpe sits in the first position in this stats category with 20 games with eight or more catches for Green Bay.